1.Short silver aluminum handle, elegant metal color and easy to carry. 2.White and yellow colors nylon hair. 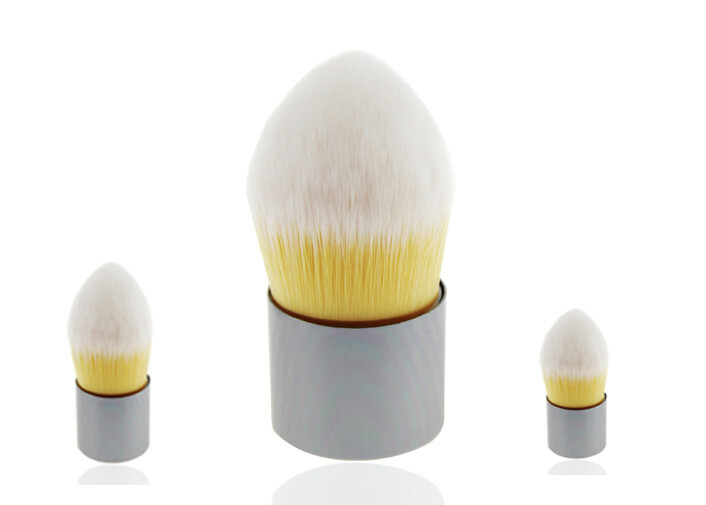 4.Bullet shape double color nylon hair kabuki makeup brush.